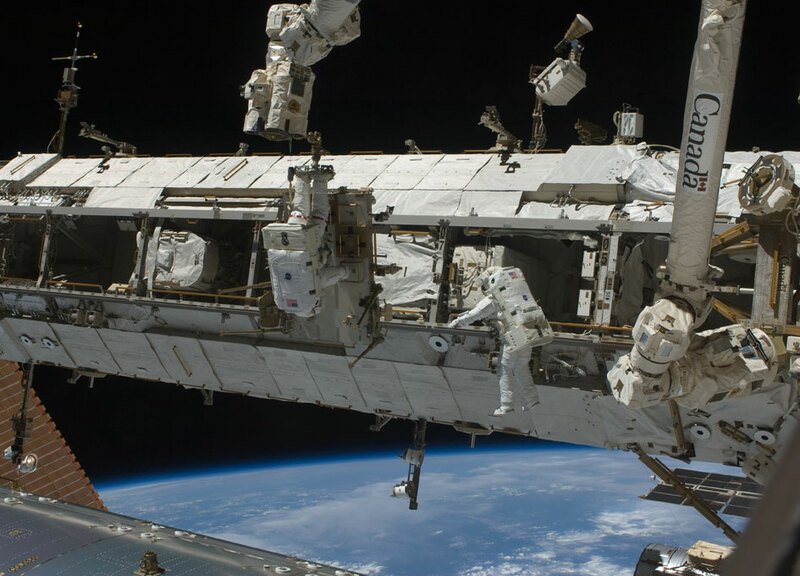 Outside the International Space Station, there is a device called a brake handle on the crew equipment carts. I couldn't imagine that device, what is it and what is it for? I found it in the book of Scott Kelly, and also here. It's to control the brakes on the cart, which follows a track that runs along one side of the ISS truss. The cart is named the Crew and Equipment Translation Aid. You can see what it looks like at this URL. Basically they can use the brakes to keep it in place and prevent it from moving. When was the last time 9 people were on the ISS?